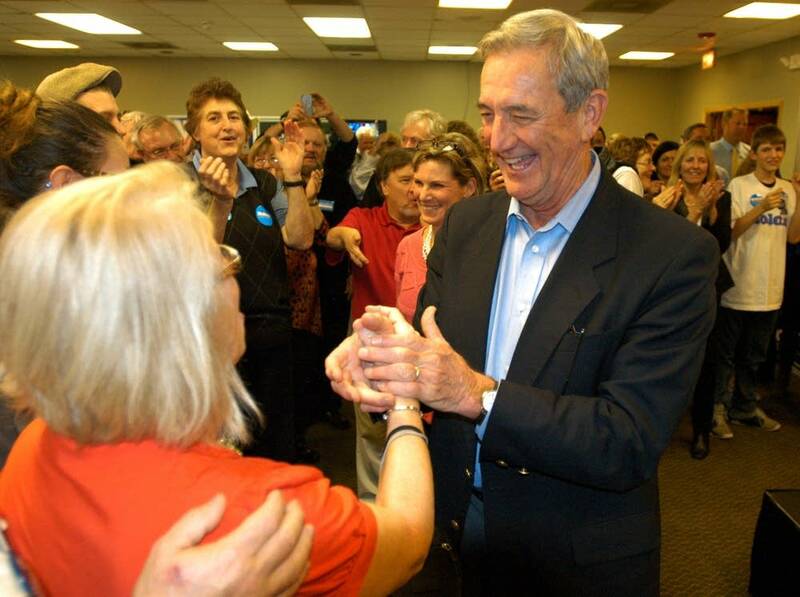 In one of the most hotly contested Congressional races in the nation, former U.S. Rep. Rick Nolan, a Democrat, defeated incumbent Republican U.S. Rep. Chip Cravaack. With 94 percent of the precincts reporting by early morning, Nolan led Cravaack by a margin of 55 percent to 45 percent. In choosing Nolan, voters in Minnesota's 8th District ended Cravaack's bid for a second term, and returned its seat in to Democratic control. Cravaack won the seat two years ago by defeating longtime U.S. Rep. Jim Oberstar in a wave of voter discontent that gave Republicans control of the House of Representatives. 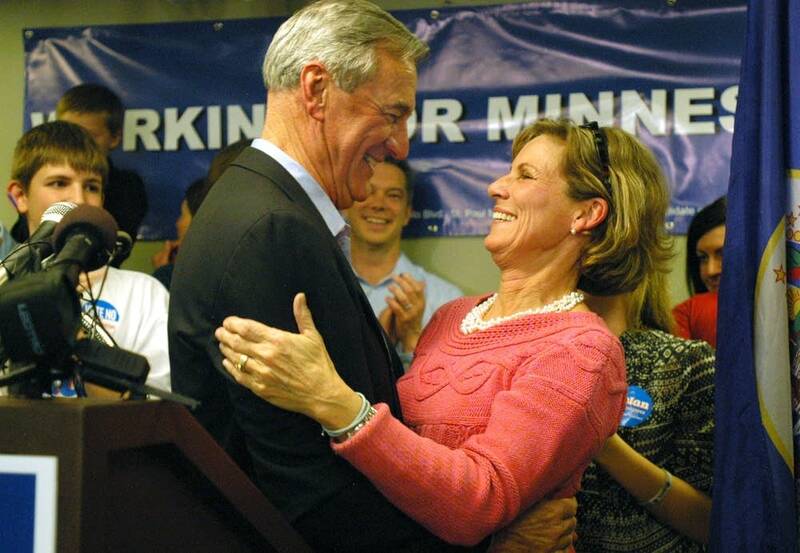 Nolan, who represented Minnesota's 6th District in Congress from 1975 to 1981, was gracious in his victory speech, acknowledging Craavack's time in the political arena. "We obviously have some very different views about going forward," Nolan said of Cravaack. "But despite those differences I have nothing but the greatest respect for anyone who stands up and fights for what they believe." Cravaack delivered a three-minute concession speech shortly after 1 a.m. As some of his supporters shed tears, Cravaack thanked his family and backers for their hard work. "It's been a heck of a race," he said. "A heck of a two years." Cravaack promised a smooth transition to Nolan's term, and said he would work to ensure that the district's interests are upheld. He repeatedly said it was an honor and privilege to serve the district. After the speech, a couple dozen supporters who remained briefly chanted, "Chip, Chip Hooray!" Of his time in Congress, Cravaack said he thought the town hall meetings and trips in mobile offices throughout the district set a bar for reaching out to his constituents. "I left everything on the mat," Cravaack told supporters before leaving. "We did everything we could. We've had good legislation. We've had good constituent services. " 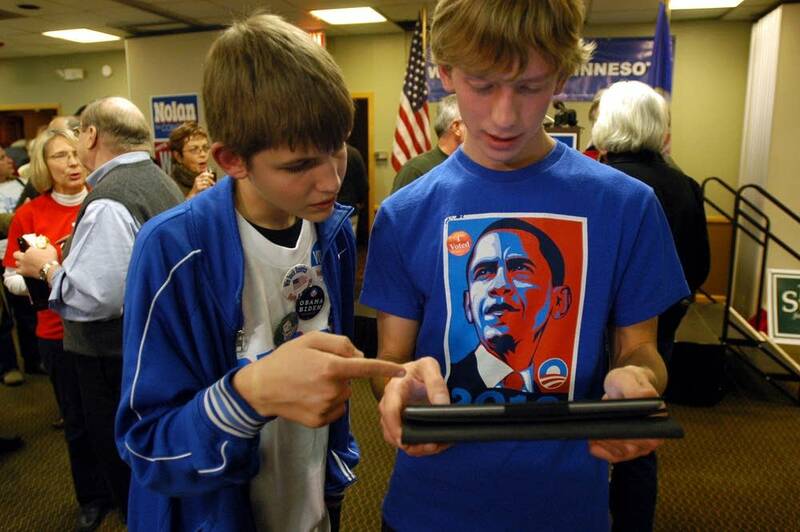 But the "voters have spoken," Cravaack said, and "they've chosen a new path." The race appeared tight much of Tuesday with both candidates saying they were doing better than expected in some areas. "We had targeted some goals in some key area around the district like the Iron Range and the Duluth area, and my own area here in Crow Wing County, and we met those goals," Nolan said a few hours after the polls had closed. "And we're actually doing better than we thought we would." Nolan may well have benefited from a visit late last month by former President Bill Clinton, who campaigned for him at the University of Minnesota-Duluth late last month. Nolan has said the student vote is very important. "We've spent a lot of time on college campuses throughout the entire district, but UMD-Duluth [sic] in particular," he said. "We were there with President Clinton. We did a "Storm the Dorms" here a couple of nights and we had volunteers who knocked on every door in every dormitory. And we spent a couple of hours there this morning just shaking hands, and introducing ourselves, and had just a terrific response from the students." Cravaack spent much of the evening at Tobies Restaurant in Hinckley, where he briefly greeted supporters with his wife and two young sons. He said he thought the Iron Range would be the key to the race, with the "independent Democrat" playing a deciding role. 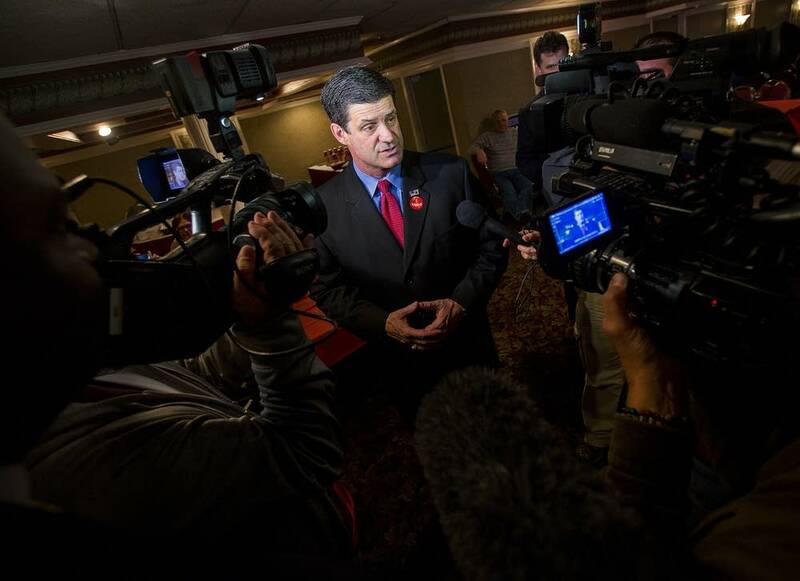 He also hoped his work on legislation focusing on mining and urging a faster permitting process for environmental regulations had caught the attention of voters concerned about jobs. "It's about getting people back to work," he said. But winning a second term in the 8th District was a difficult proposition for Cravaack, a 53-year old former Navy helicopter pilot who lives in North Branch. 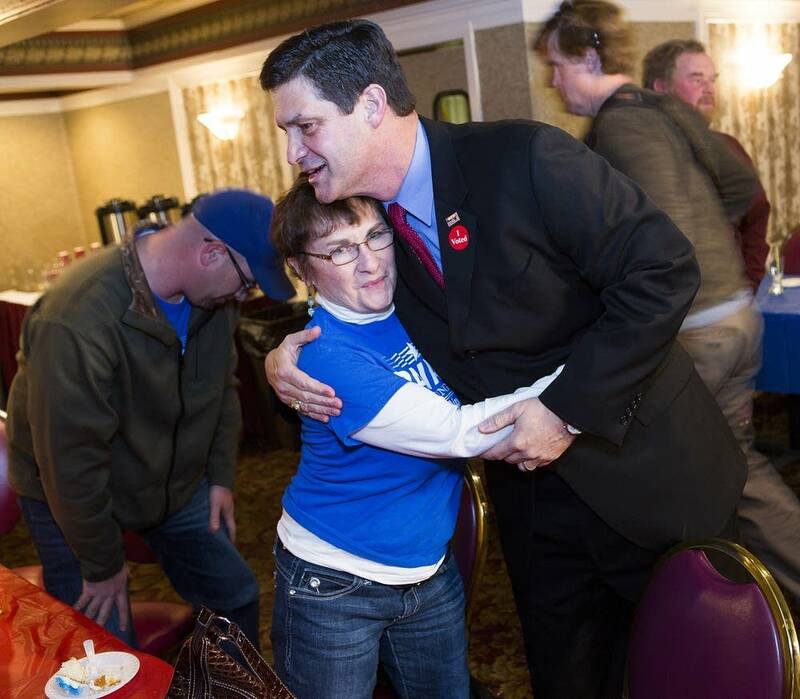 Although he pulled off the unthinkable with his win against Oberstar two years ago, it was clear his re-election bid would be tough, acknowledged Ben Golnik, Cravaack's campaign manager. Golnik said many Democrats in the district are culturally conservative voters who support Cravaack's pro-life stance and second amendment rights. But that wasn't enough to overcome the Democratic advantage in the sprawling district, which includes the conservative northern exurbs of the Twin Cities, to Democratic-leaning Duluth and the Iron Range. By Tuesday afternoon, the Nolan campaign was confident in light of reports of strong voter turnout in areas that Democrats traditionally have done well in -- including Duluth, at college campuses and on the Iron Range. The head of elections in St. Louis County told MPR News that turnout was strong all day. In Chisago County, at the southern end of the district, elections officials said turnout was "huge." Many voters also went to the polls in Aitkin County, where the head election official said "it could very well" exceed 2008 levels. Nolan, a 69-year-old businessman and former social studies teacher who lives in Crosby, will go to Washington in January as a four-term congressman. He previously served three terms in the U.S. House of Representatives. He emerged victorious in a contest that attracted more than $9 million in spending by the Republican and Democratic parties and other groups, according to the Center for Responsive Politics. That dwarfs combined spending of about $1.8 million by the candidates' campaigns. "This is a big battleground district in this particular House election cycle," said Kyle Kondik, who analyses political races for the University of Virginia's Center for Politics. 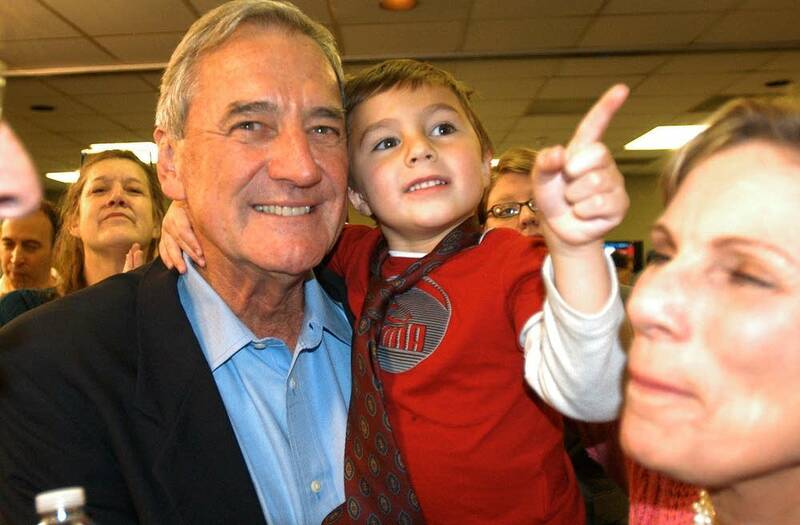 Before Election Day, polls showed Nolan with a lead so slight that most observers viewed the race as too close to call. Geographically, the 8th District is one of the state's largest. It lies in the northeastern part of the Minnesota -- containing both Duluth and the Iron Range - but stretches as far south as Chisago County. It's an area that depends on the mining and timber industries, and on shipping, manufacturing, agriculture and tourism. In 2010, Cravaack won the district by fewer than two percentage points. But his win was part of a Republican sweep of Congress - a sweep that included a number of districts in the Upper Midwest. During the campaign, Cravaack stressed his support for a smaller federal government, less regulation, and tax cuts for businesses. Nolan said he wanted to reduce military spending and increase taxes on the wealthy while rebuilding roads, bridges and public facilities. Each tried to portray himself as the stauncher supporter of mining. 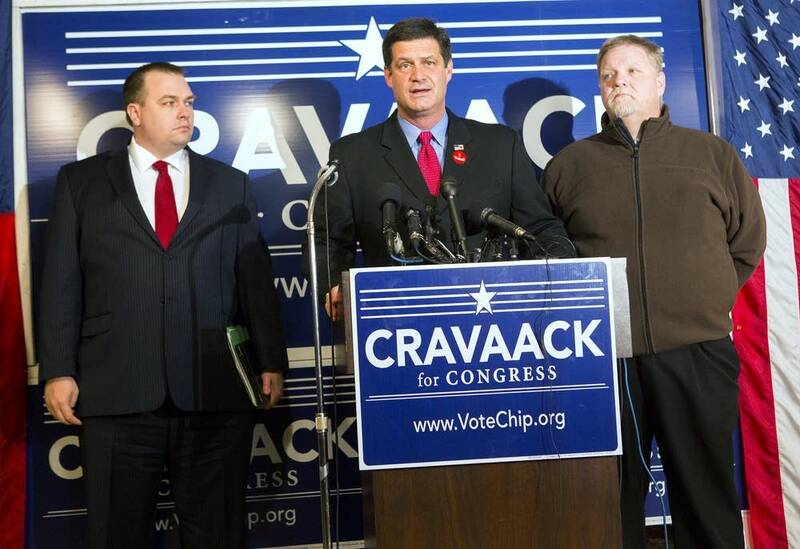 But Democrats may have damaged Cravaack's prospects by questioning his ties to the district. Last year, Cravaack's wife and children moved to New Hampshire. Cravaack said his wife left for a job in Boston, and that his autistic son left so he could be closer to her. That sparked a complaint by one autism advocate that Cravaack was trying to win sympathy points. 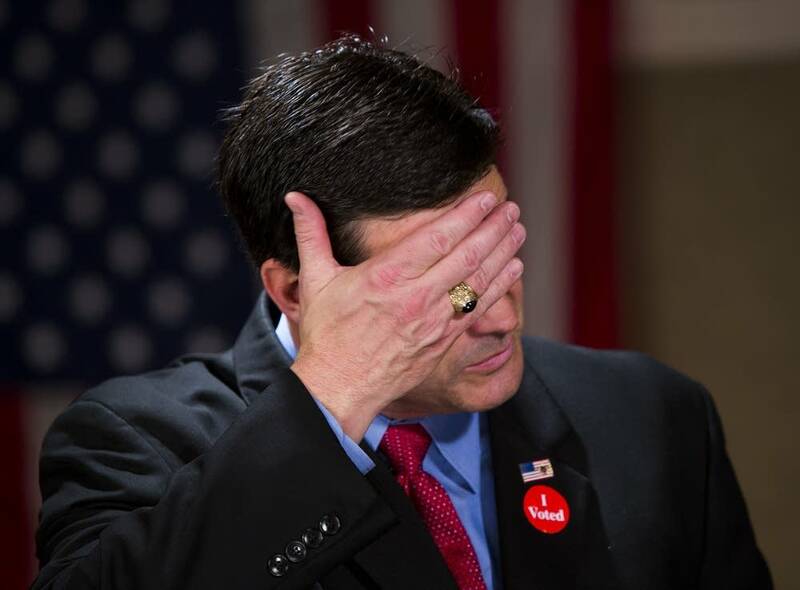 His campaign objected to Democrats' claim he doesn't live in Minnesota. Still, Cravaack's objections were a bit rich for Darwin Alar, a retired mining electrician from Virginia who is voting for Nolan. "That really bothered me," said Alar, a Democrat. "Chip's political machine took offense at that, when I remember distinctly hearing time and time and time again from Chip's political machine back when he was running against Oberstar, about the fact that Oberstar isn't from Minnesota anymore, and he never comes back to Chisholm, and he's got a place out east. But all of a sudden when the shoe is on the other foot, he thinks it's unfair for Nolan to even bring it up. That rubbed me the wrong way." This year, Republicans tried to prove that Cravaack's win wasn't an anomaly, and that it signaled a fundamental shift in the district's politics. Democrats, however, worked to reclaim what they considered their traditional political territory - and they succeeded. Don Bye, who has been the DFL chair of the 8th District for more than 30 years, said he was delighted the territory will be back in DFL hands. "It does mean a lot to me," he said, "knowing Rick as a person and knowing what he can do." Bye said it became clear to him very early that Nolan would be the best choice among the many candidates who expressed interest in running against Cravaack. And Bye said Nolan does not just say things people want to hear when he talks about working across party lines in Congress. "I think he's one of the genuine ones that will work with Republicans in Congress," Bye said." Everybody says that they will. Everybody says that, 'I work across the aisle.' But some do it, and he has, and he's shown that in the past." Nolan has pledged to make campaign finance reform a top priority, starting with a constitutional amendment to overturn the Citizens United Supreme Court decision. 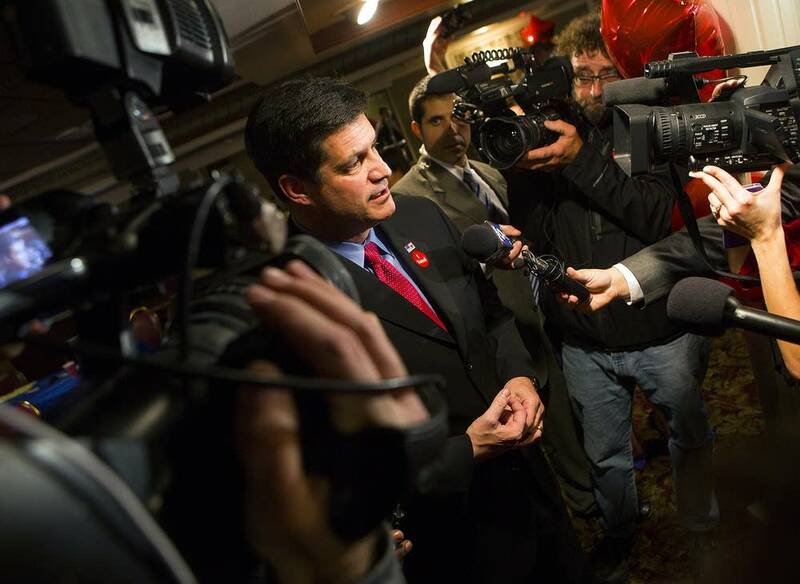 That opened the floodgates for special-interest political spending, including some $9 million that outside groups poured into the 8th District. "If this campaign has proven anything, it has proven that we need to change the way we do politics in this country," he said. "The millions, the millions — in fact, the billions of dollars — that are pouring into campaigns all over this country threatens our democracy." 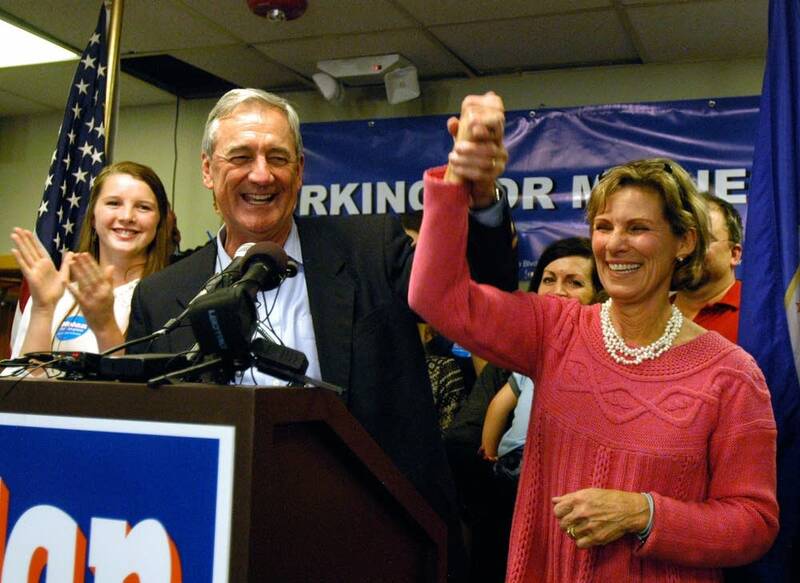 Nolan will be 70 when he returns to Congress in January. Because of his previous three terms, he will reenter the House with the seniority of a four-term congressman. "I don't know where to begin to thank all of you who have stepped up in this campaign and done so much," Nolan said in his victory speech. "It has been just such a heartwarming, wonderful, exhilarating experience. I'll never, never, ever be able to thank all of you enough for all that you've done. But I will say, 'thank you, thank you.' "